Does your resumé need a little polishing? Get insider tips on writing a resumé that will get noticed by HR professionals in your field of interest. Professionals will be visiting the Career Centre to meet with students individually and provide them with feedback on their resumés. These one-on-one appointments with professionals from specific industry sectors will give you an opportunity to learn first-hand how to tailor your resumé to your preferred industry and write a resumé that will stand out. Each professional will visit for one day and there will be 10 appointments available with each professional on the specified date. You must email a copy of your resumé in advance after you have booked an appointment (this allows the employer time to review your resumé and better provide you with feedback). You must also bring a paper copy (final or draft) of your current resumé to the appointment. Attendance at the Career Centre's Resumé Writing workshop is recommended. STEP 1: Sign up for an appointment on the Career Centre's online system using your Passport York username and password. You may only book ONE appointment with each organization. If you book more than one appointment with the same employer on the same day, your duplicate appointments will be cancelled. STEP 2: After you have booked an appointment, send your resumé to ccjobs@yorku.ca by the specified deadline (deadline is posted below and on each appointment on the online system). 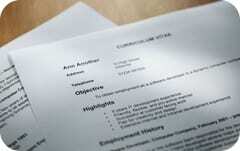 The file name of your resumé should include your full name (e.g. John_Smith_resume.pdf). The subject line of your email should include your name, the name of the representative you are meeting with, and your time slot (e.g. John Smith - Mary Jones - Sep. 30 3:40 pm).